It has taken me nearly three years, but I have finally finished Orca Bay. 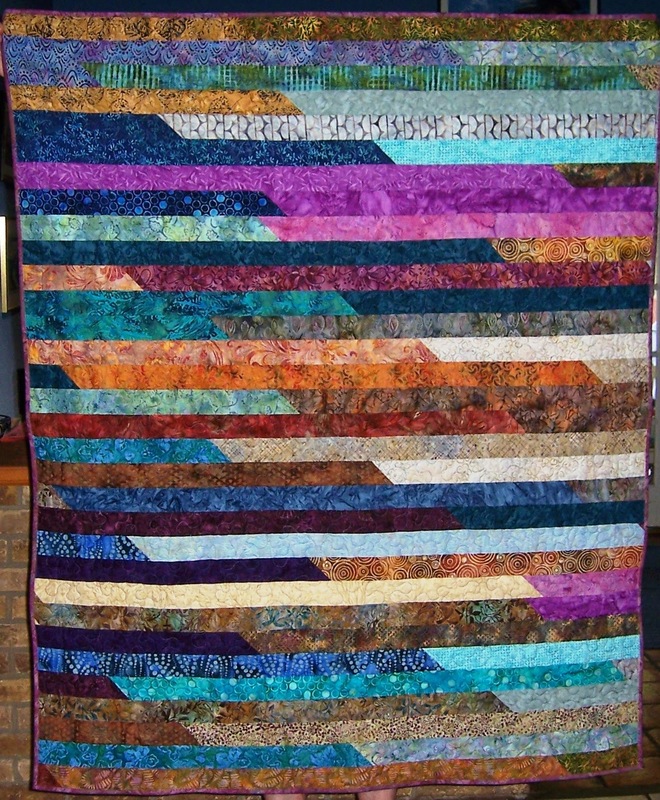 This was Bonnie Hunter's 2011 mystery quilt, and my first mystery. I started it when she posted her first clue (something like "cut 350 1.5" half-square triangles") and quickly fell hopelessly behind. 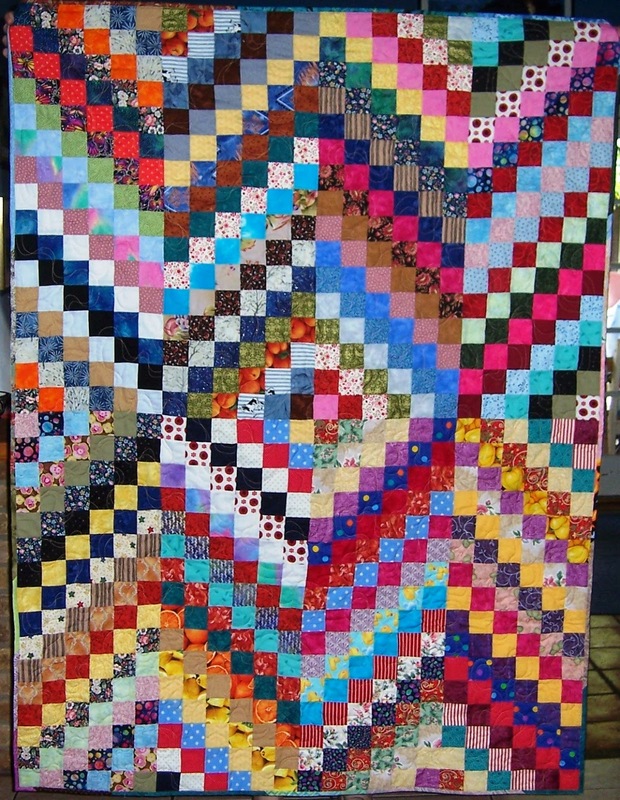 But I persevered, mostly on retreats, finally attaching the border at a retreat this past June. There are so many tiny pieces that there's nearly as much fabric in the seams as in the top, and it weighs a ton, but it will keep me nice and cozy this winter. It was made completely with fabric from my stash. 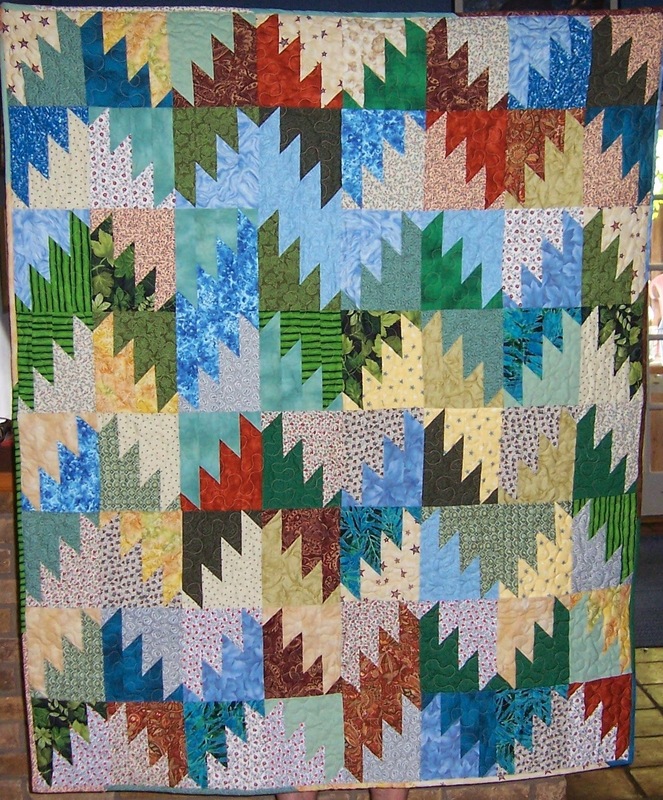 When I made the four retirement quilts back in June, I ran out of time for the fifth one. Bill is retiring at the end on August so I wanted to get his quilt to him. A few years ago, Bill brought several shoe boxes of neckties into work for anyone who wanted them. I ended up with a couple dozen ties, thinking that I would ultimately use them for his retirement quilt. 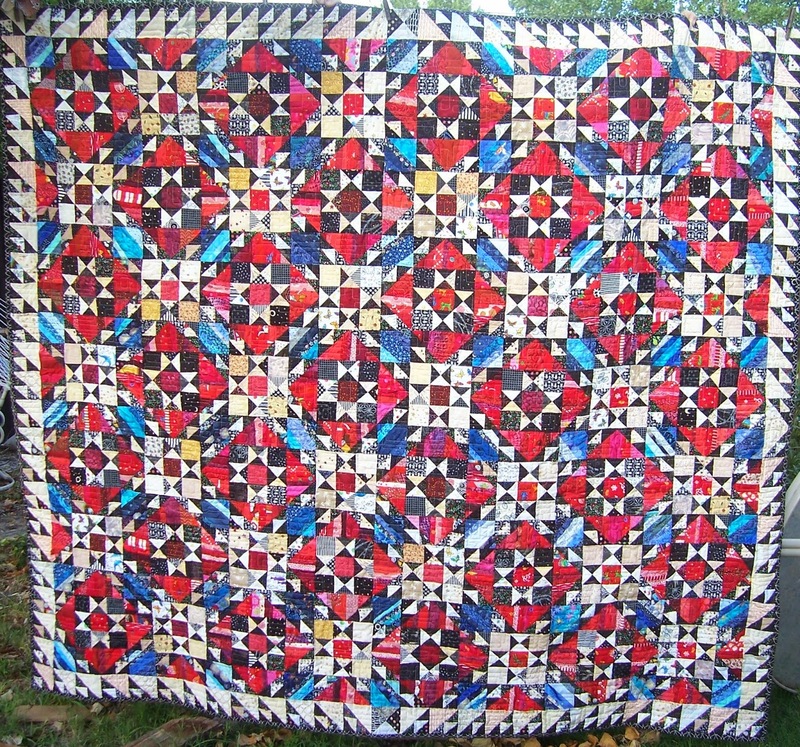 As soon as I heard he was retiring, I started a string quilt, using the ties on a 12.5" muslin foundations, and actually got 4 blocks finished before the June party. 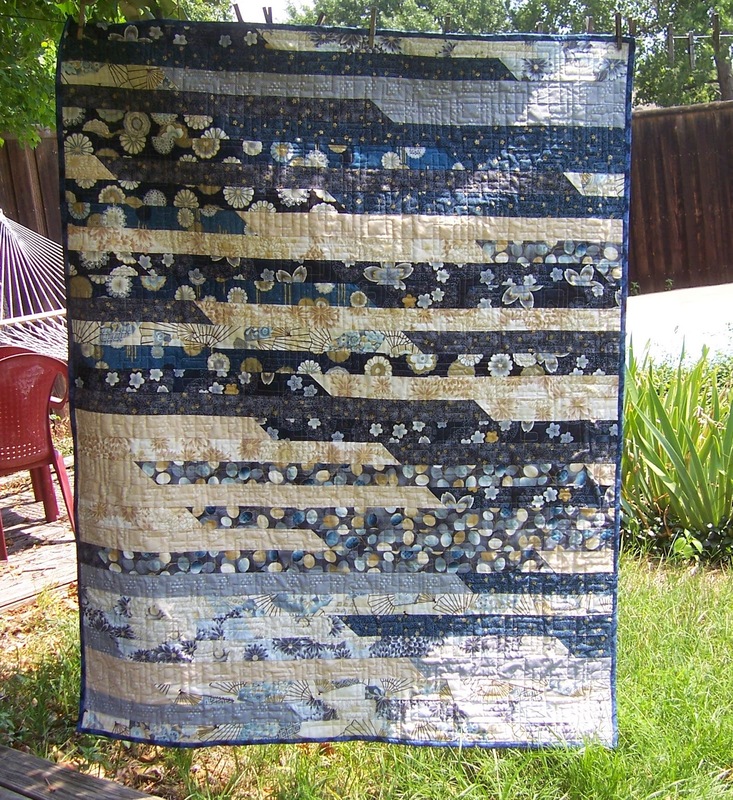 At the party, Bill said he really liked the jelly roll quilt I made for Therona and would like one in blues. 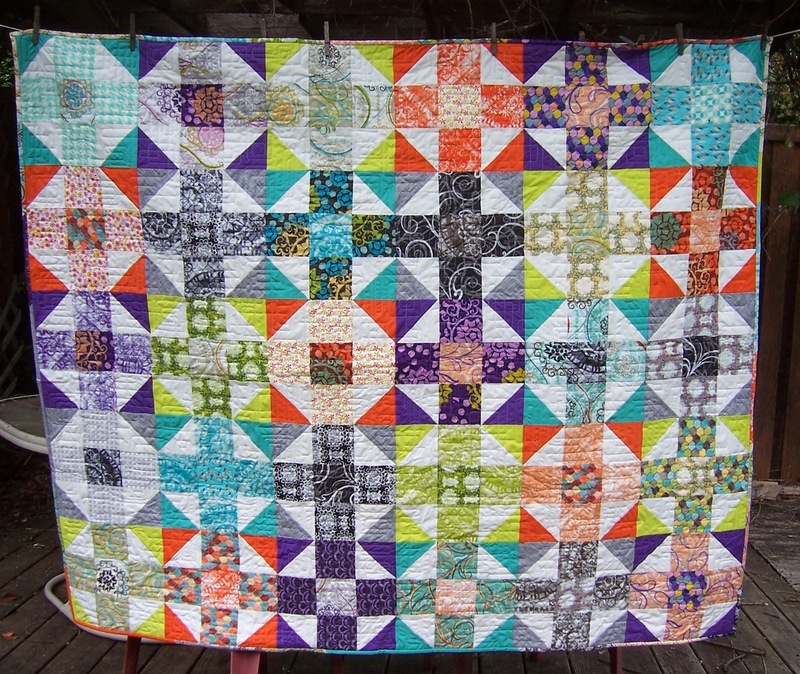 Those neckties had been giving me so much grief that I quickly abandoned them in favor of the simpler jelly roll quilt. And, based on his thank you note, I made the right choice to give up on those ties. 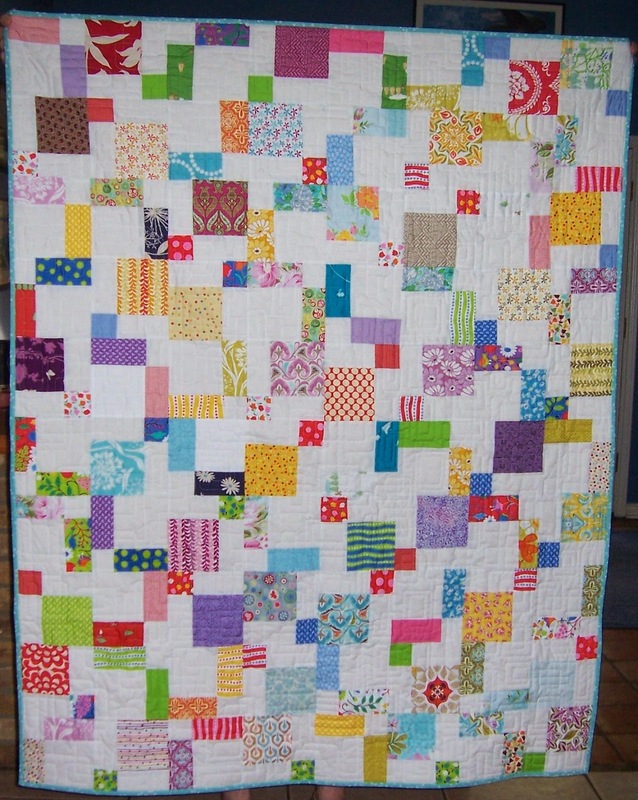 Thank you again for the beautiful quilt! The fabrics, design and color are all exactly to my taste—it is as if you had read my mind.